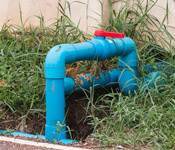 Are you looking for sump pump repair in Bergen County, NJ? At 1st Choice Plumbing, Heating, and Drain Service, we specialize in sump pump repair in Bergen County, NJ. Our sump pump specialists work with homeowners and business owners to deliver quality, long-lasting results in your sump pump. No matter the size or complexity of the job, our sump pump experts will fix it without delay. At 1st Choice Plumbing, Heating, and Drain Service, your satisfaction comes first. We perform sump pump repairs, installation, and maintenance at competitive prices while maintaining our high standards of quality and service. Our trained and highly skilled sump pump professionals have years of experience protecting homes against flood damage and water accumulation. Through our many years of trusted, reliable sump pump service, we have developed into a plumbing service industry leader. Our professional sump pump specialists understand how important a functioning sump pump is for any property, and work without delay to bring results that leave your property safe and provide you with peace-of-mind should a major storm occur. 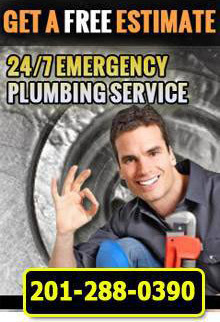 With 24/7 emergency sump pump repair, you can rest assured knowing that no matter when disaster strikes, 1st Choice Plumbing, Heating, and Drain Services is by your side. A sump pump is a piece of equipment often overlooked when performing household or property maintenance. After a major storm or flooding, we expect our sump pumps to remove any water accumulation and restore our basements to pre-flooding levels. There are many issues that can occur with your sump pump, causing it to malfunction or, even worse, not work at all. If you notice symptoms that indicate your sump pump is not performing correctly, or have found after testing that your sump pump is not working, you will need professional sump pump repair for optimal function. You can perform a quick test on your pump to gain a better understanding of the repairs that may be necessary. Take a 5-gallon bucket and slowly pour it into the crock of your sump pump. The sump pump switch should turn on and begin pumping water. Let the pump perform its duty, and observe whether or not it turns itself off once completed. Slowly pour more water into the pump to ensure it starts again. If this test yields results signaling a malfunction or improper removal of water, call us for expert sump pump repair. 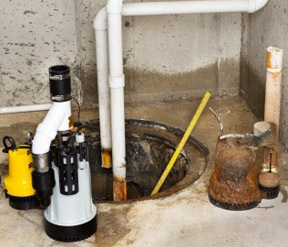 Whether you have a damaged sump pump, leaking sump pump, or non-performing sump pump, we have the skills, tools, and experience necessary to perform prompt and complete sump pump repair. It is important to maintain your sump pump's condition to ensure structural damage does not occur after flooding. Our sump pump experts will inspect your sump pump and determine the right solution while remaining within your budget. For more information about our affordable sump pump repair in Bergen County, NJ, call 1st Choice Plumbing, Heating, and Drain Service at (201)288-0390.